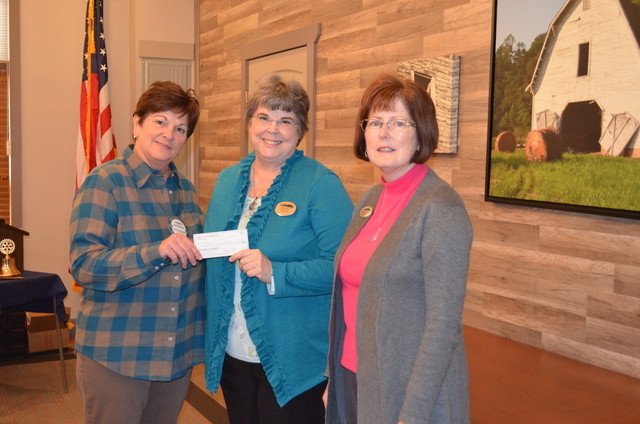 Rotary of Blue Ridge recently met in the Chamber of Commerce’s meeting room with special guests Donna Earl and Teresa Ross from the Fannin Literacy Action Group (FLAG). 1- The illiterate and semi-literate. Reading, writing and mathematics skills are improved with the helpful guidance of FLAG staff. 2- Those persons for whom English is a second language (ESL). Dictionaries donated by Rotary Club of Blue Ridge have been especially helpful to these students learning the English language in order to effectively communicate. 3-Encourage individuals, groups and other organizations desiring to increase education through their own volunteer programs. 4- To acquire basic computer and Smartphone skills. This is geared toward older citizens who need to have a better understanding of technology surrounding their lives. 5- Help prepare teenagers/or older adults who may have dropped out of high school take and pass the GED exam. 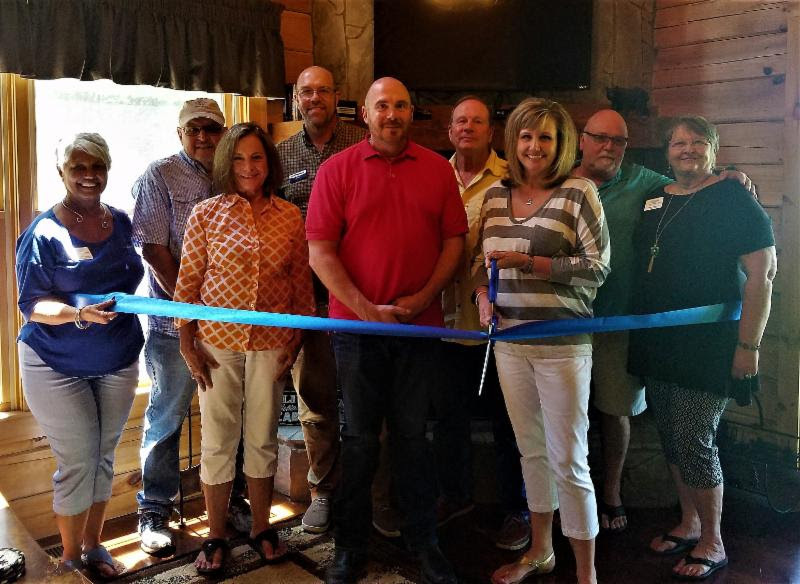 Ross pointed out the organization is also partnering with Fannin County Senior Center to help attain their GED or other literacy skills as well. 1- 13 new graduates of the GED program. 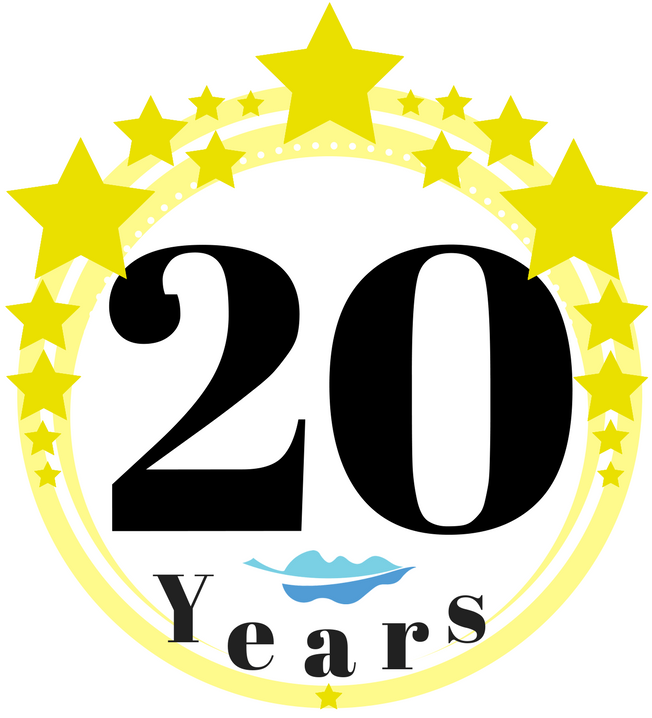 2- Helping students complete college preparation courses in mathematics and writing skills. 3- Four students are currently enrolled at Georgia Tech after obtaining GED. 4- Assisting students find better employment after graduating from the Center. 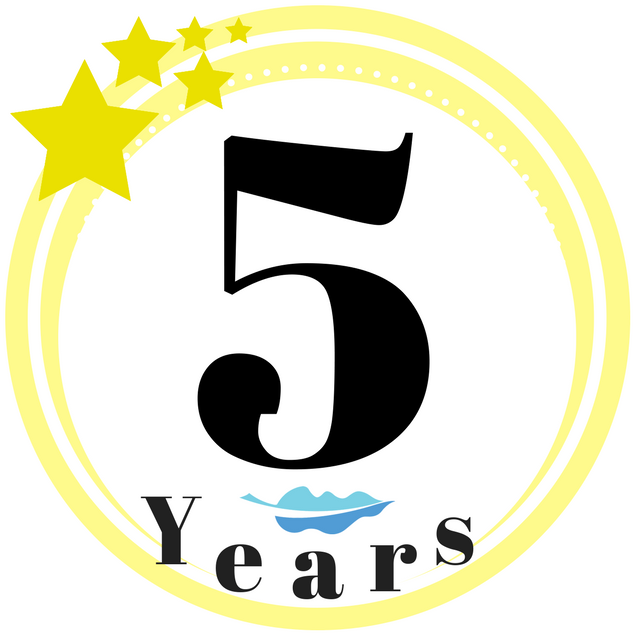 5- Course Completion has helped graduates obtain higher pay. Some students who finished the required courses received advancements in their current employment. 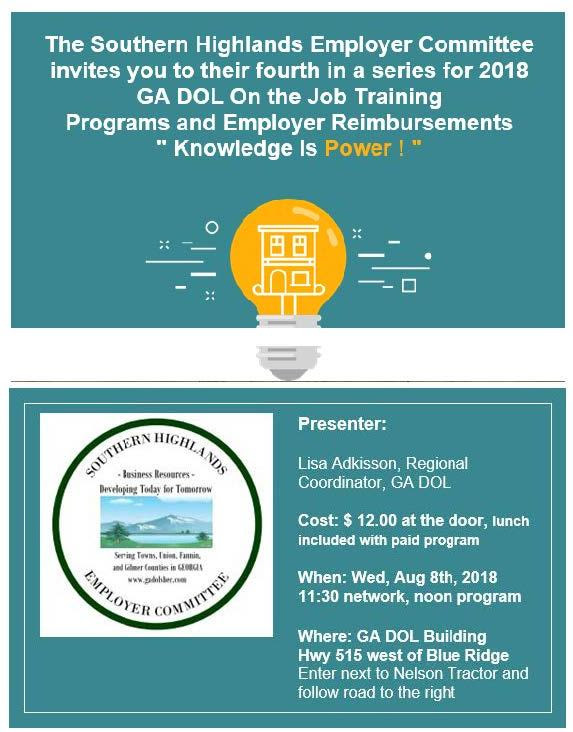 FLAG Adult Education is located at 71 Overview Dr., Blue Ridge, GA 31503. 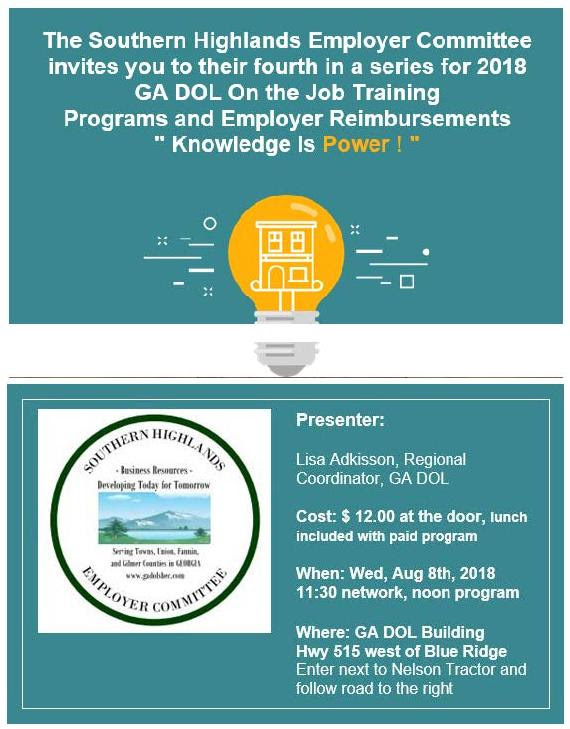 Hours of operation are Monday and Wednesday 8:00 a.m.-5:00 p.m.; Tuesday and Thursday 8:00 a.m.-8:00 p.m. For more information, please contact Donna Earl at dearl@northga.tech.edu or Teresa Ross tross@northga.tech.edu. 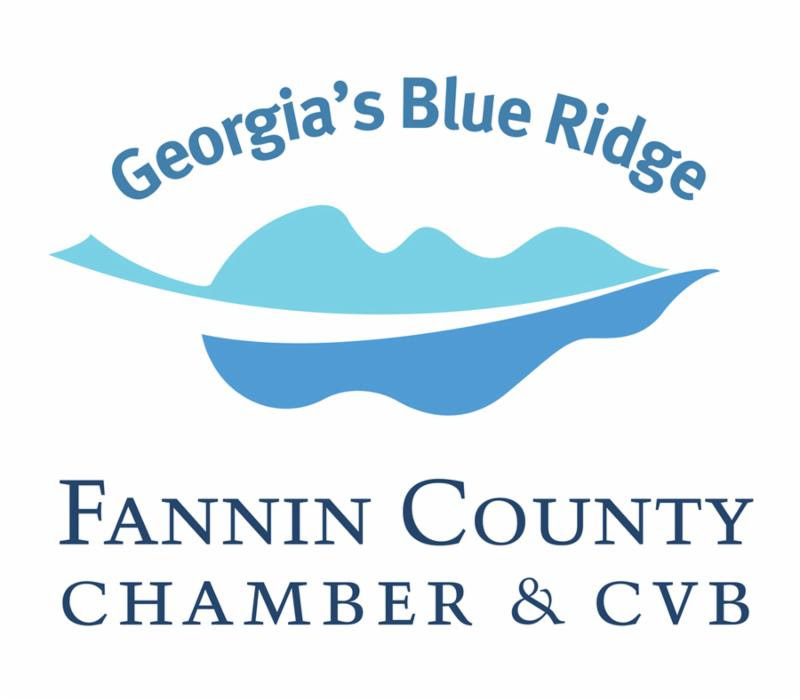 The Fannin County Chamber of Commerce is accepting nominations for the Leadership Fannin Class of 2019, which will begin in February of 2019. 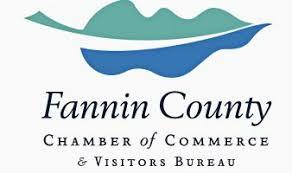 Leadership Fannin is an extremely rewarding experience designed to educate and develop local community leaders. 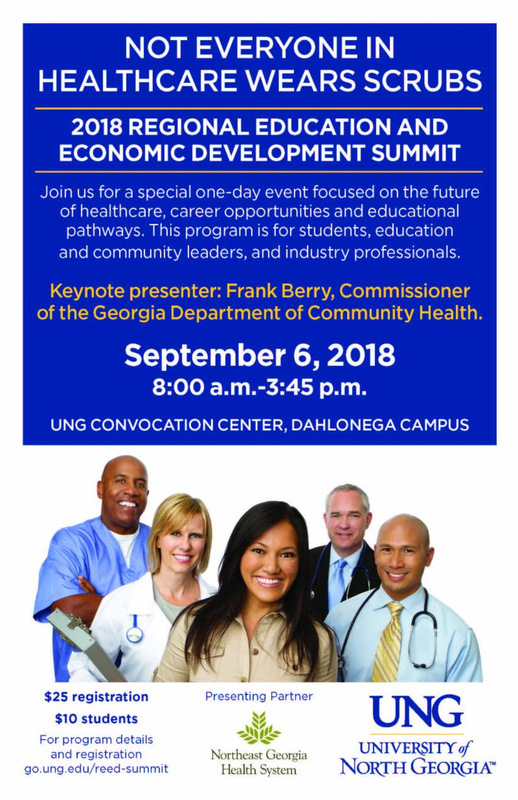 Participants learn about community leadership, gain a greater understanding of issues in Fannin County and network with people from all walks of life and geographic areas of our community. Coordinating the program for the Chamber is Shannon York, and the 2019 Chair is Chris Hall. 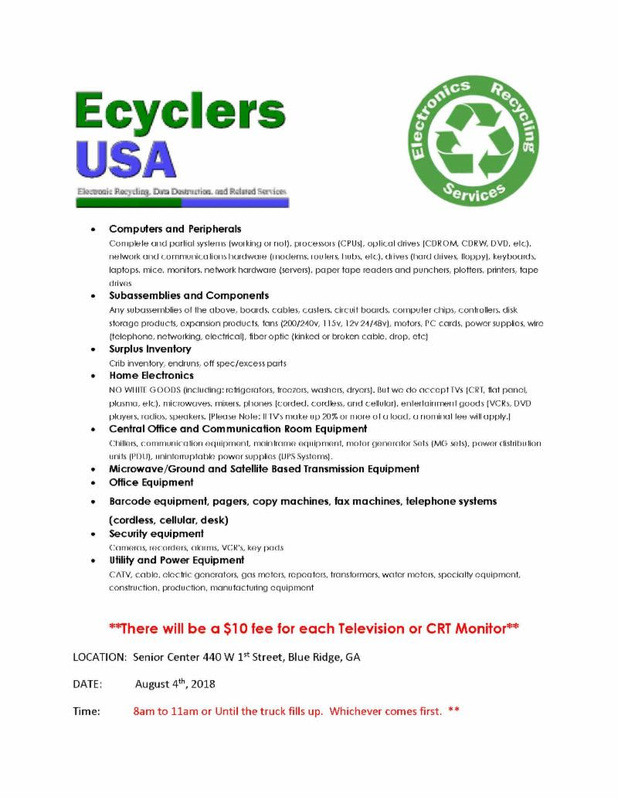 If you are interested in applying or know someone who would benefit from the program, please contact Jan Hackett at jahackett@tds.net or call the Chamber at 706-632-5680, with the applicant’s name and contact information. The deadline for nominations is November 15. Nominees will receive applications and a schedule of programs in December and the class will be approved in early January, 2019. 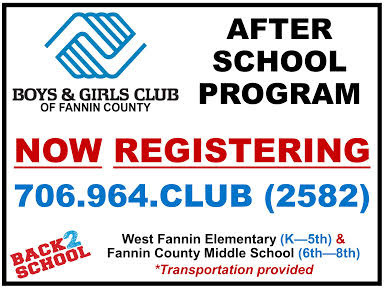 Leadership Fannin was established in 1999 in cooperation with the Fannin Cooperative Extension. 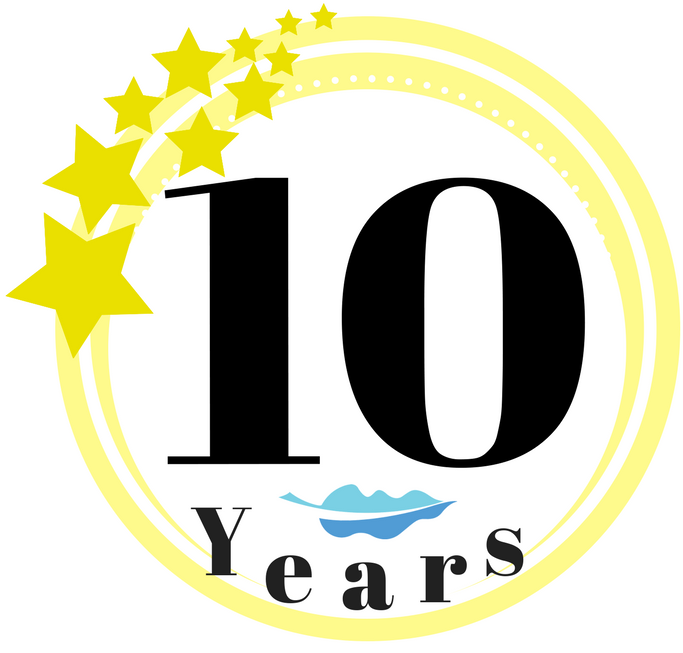 The Chamber program consists of 14 classes since 2004. Nominees should have lived in Fannin County for more than two years. Tuition is $200 however scholarships are available for representatives of non-profit organizations. 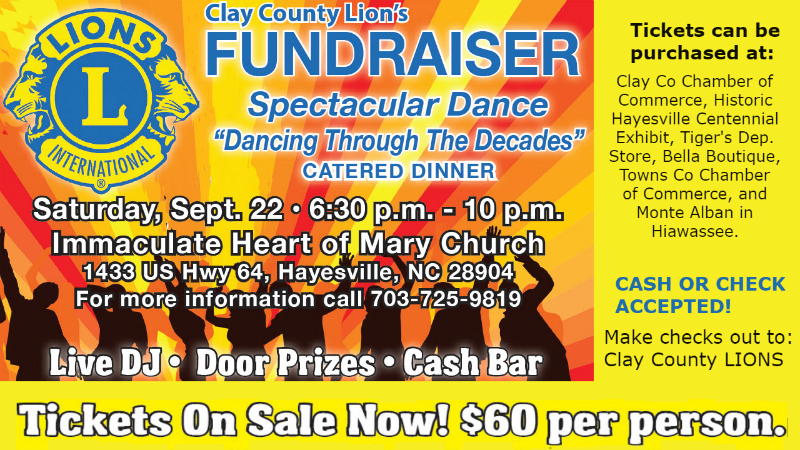 The Clay County Lions Club is hosting a Fundraiser on Saturday evening, September 22, 2018, from 6:30 pm – 10:00 pm in the beautifully renovated Fellowship Hall of Immaculate Heart of Mary Church located at 1433 US Hwy 64, Hayesville, NC. 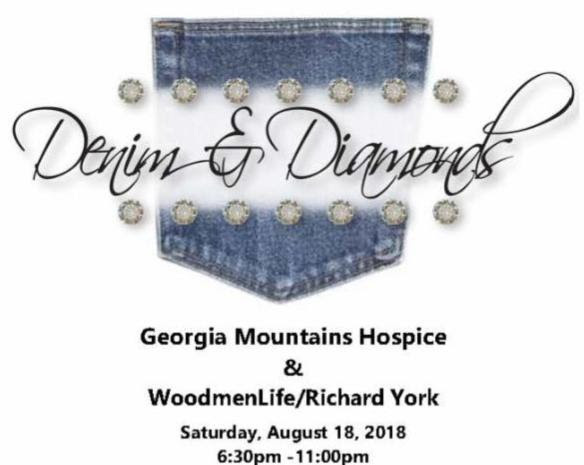 The Fundraiser will be an evening of great music from the 60’s, 70’s, and 80’s with a live DJ, a spectacular dance, a fabulous dinner by Amazing Grace Caterers, dozens of door prizes, and an available cash bar. 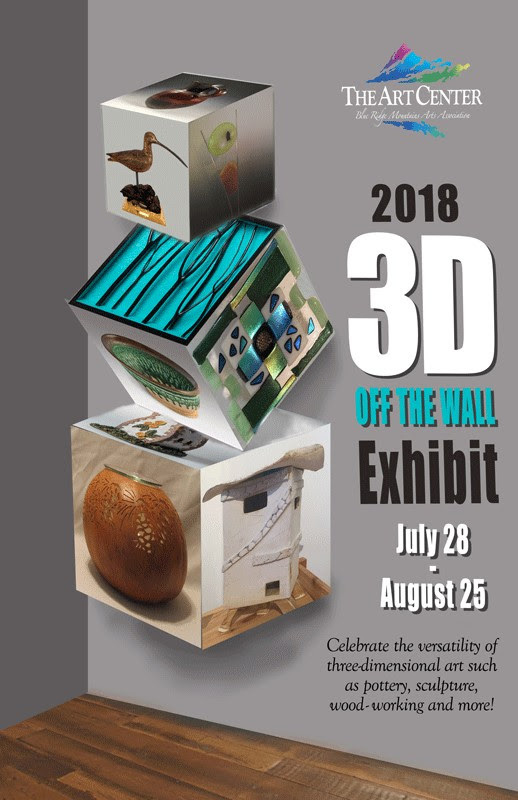 Tickets are $60 per person and are available at the Historic Hayesville Centennial Exhibit, Clay County Chamber of Commerce, Tiger’s Department Store and Bella Boutique in Downtown Hayesville. 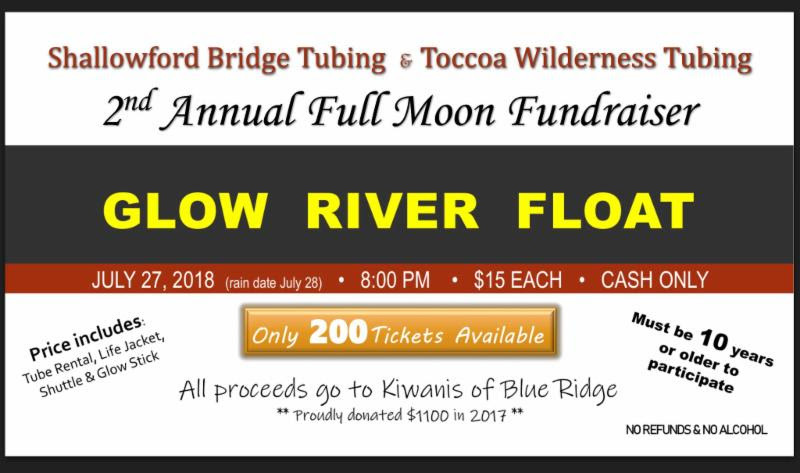 Tickets are also available from any Clay County Lions Club Member, and at the Towns County Chamber of Commerce and Monte Alban Restaurant in Hiawassee. A portion of each ticket may be tax deductible. 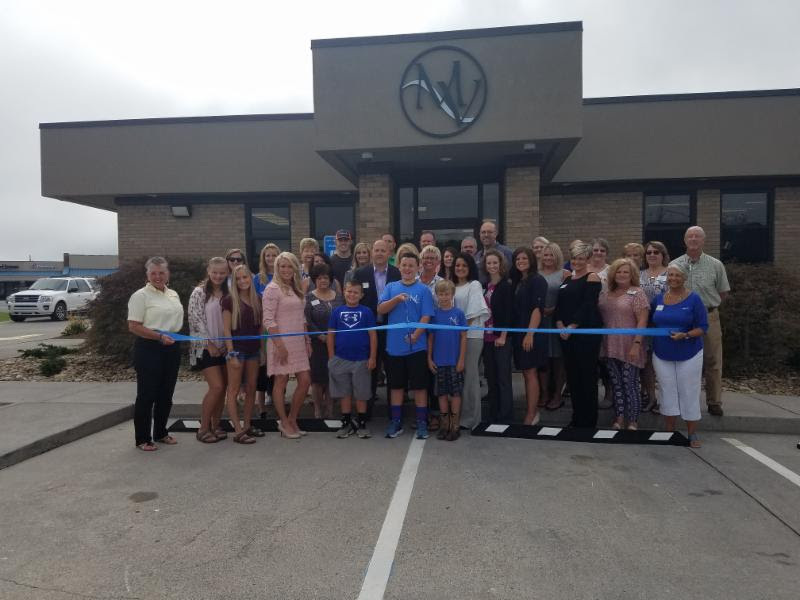 September 7 will kick off Operation Appreciation when Chamber Board Members, Ambassadors, Leads Group Members and Staff will visit every Chamber member with a local business address to deliver new publications, a window decal and a gift to show our appreciation. 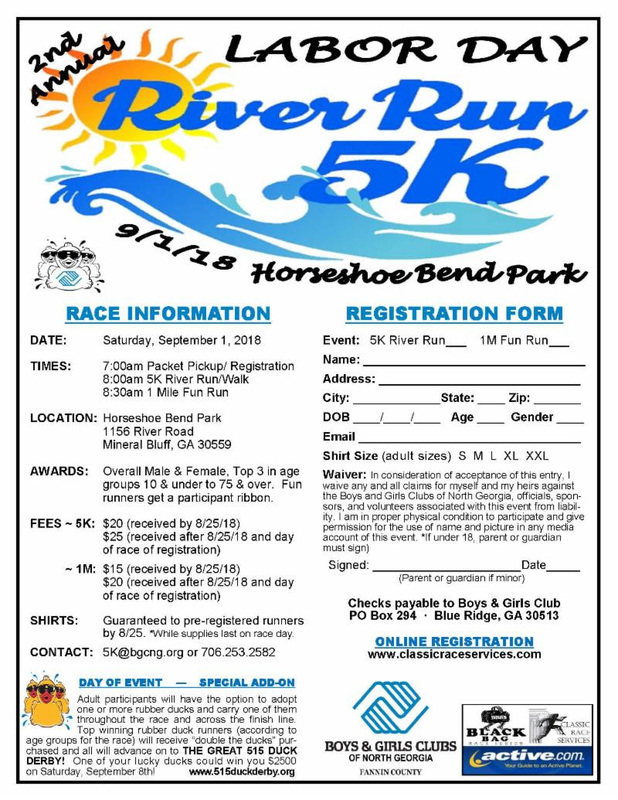 If you are interested in volunteering for delivery, please contact Kim Foster at (706) 632-5680 or kimfoster@tds.net. 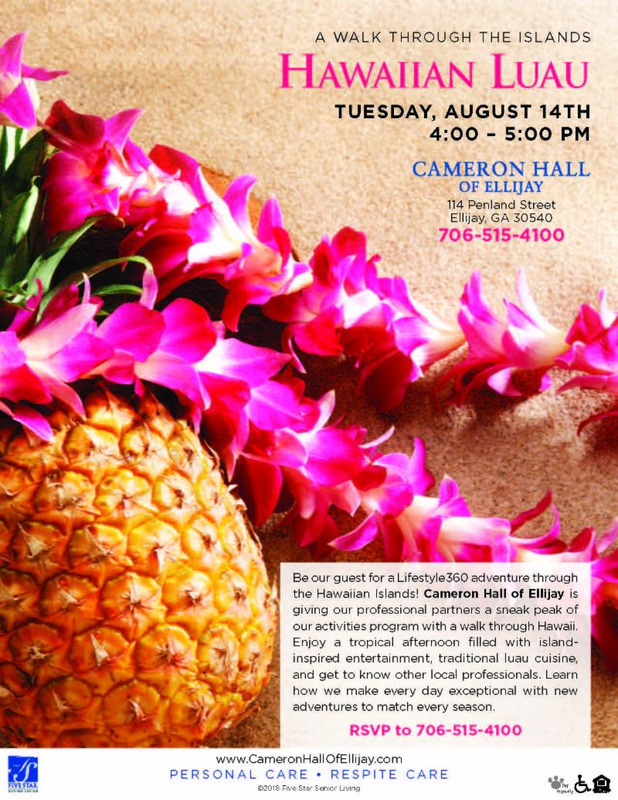 Lots of fun and prizes too! The Chamber’s 4th Annual Fall Decorating Contest will take place in October for Blue Ridge, McCaysville and Copperhill Chamber members. 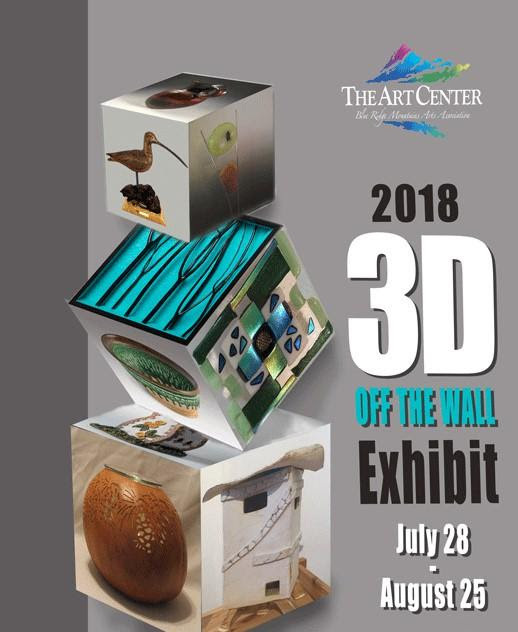 Participants will compete for great prizes; 1/2 page page ad in Information Please, FREE one-year Chamber membership, and tickets to the annual banquet. 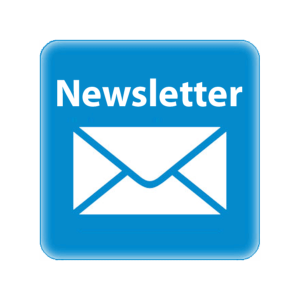 Be on the lookout for the entry form in September’s newsletter and your Operation Appreciation bag! The Chamber’s 26th Annual Golf Tournament will take place onOctober 8 at Butternut Creek Golf Course. Registration information and hole sponsorship opportunities coming soon! 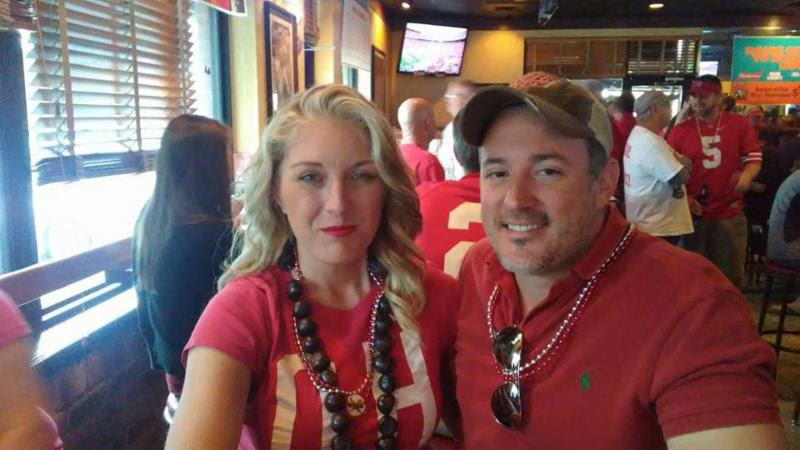 When it comes to Marc and Stephanie Cots, growing a business and living in a small town is what they know and love. The story starts over ten years ago when Marc visited the area with his motorcycle friends and fell in love with the mountains of Georgia and Tennessee. After meeting Stephanie and bringing her to the mountains, the couple pictured a life for themselves in the small town of McCaysville — as owners of The Cider House and Mountain View Orchard. Marc and Stephanie want to raise their family in a small town, and they have a vision — making The Cider House and Mountain View Orchard the best kept secret in the mountains. 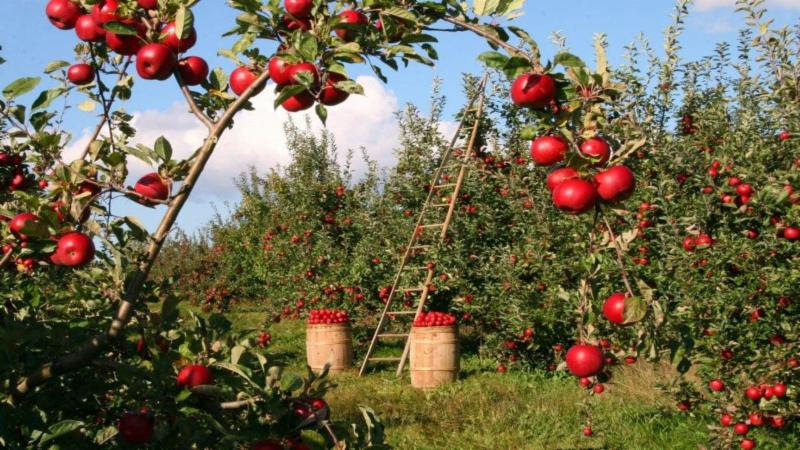 Leaving the hustle and bustle of south Florida behind, they relocated to the peaceful mountainside orchard, where they are gradually making improvements and updates to the Cider House Cafe and Mountain View Orchard, owned by Joe and Mary Jo Dickey for over 50 years. 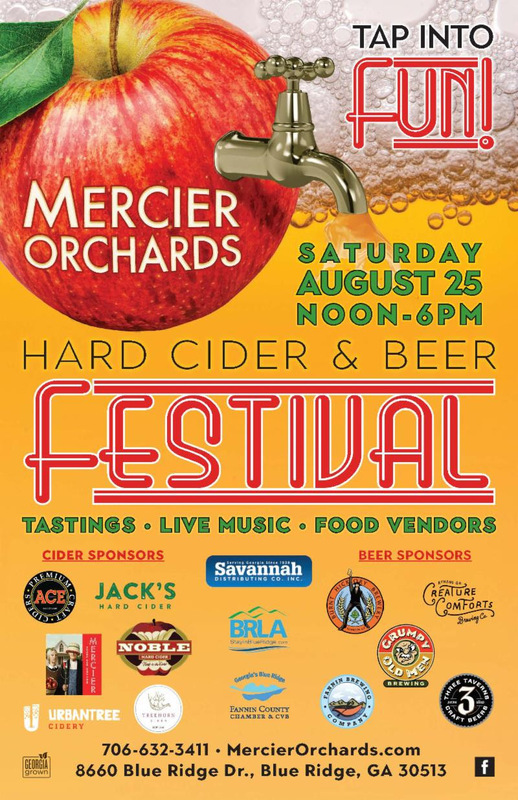 Visit them soon at the Cider House! Cintas leads the industry in supplying corporate identity uniform programs, providing entrance and logo mats, restroom supplies, promotional products, first aid, safety, fire protection products and services, and industrial carpet and tile cleaning. They operate more than 400 facilities in North America-including six manufacturing plants and eight distribution centers. Dreamview Cabin is a 3 bedroom, 3 bath cabin that can accommodate up to 8 guests. Located on 2 very private acres in the highly sought after and beautiful Cashes Valley area Dreamview is perfect for those who desire to escape the crowds. 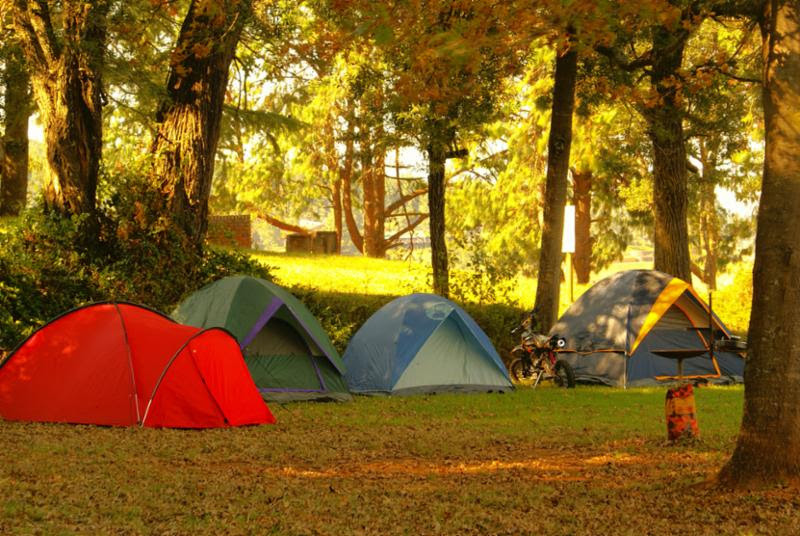 For all the outdoor enthusiasts out there, the cabin is very close to many different and exciting outdoor activities such as hiking, rafting, ziplining and more! 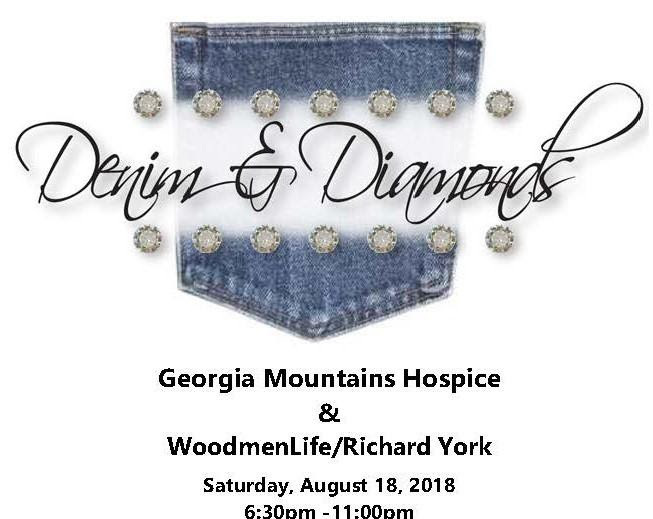 Georgia Mountain Storytelling Festival is a 501c3 nonprofit dedicated to providing meaningful opportunities for an under-served audience to engage with the voices of Appalachia and develop a cultural intelligence. They put on the Georgia Mountain Storytelling Festival each April. Heavenly Hollow- Escape To The Perfect Mountain Getaway!! Secluded/ Pet friendly Private cabin that sits on almost 3 acres, with access to small community lake. Open floor plan with 2 bedroom, 1 bathroom. Mountain views from every room. 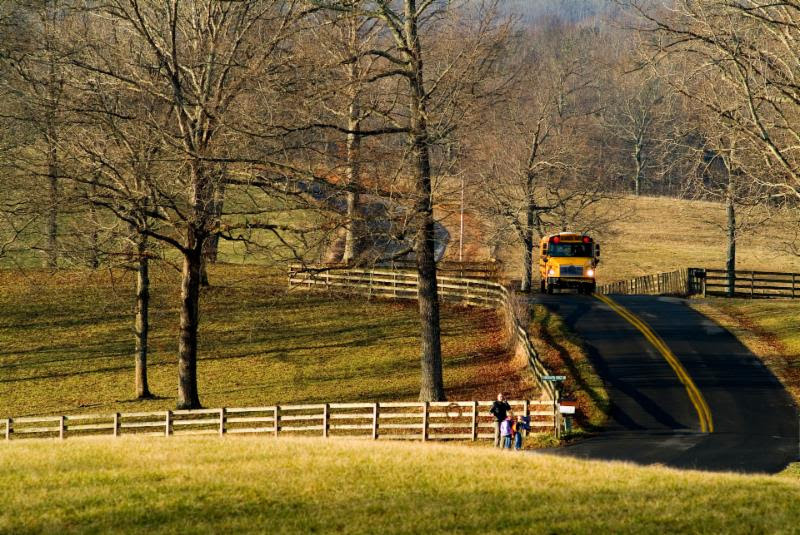 St. Mark’s Episcopal Church is a parish of the Episcopal Diocese of East Tennessee. Faithfully grounded in Scripture and the Book of Common Prayer 1979, St. Mark’s welcomes everyone to join them, for a day or for a season. Just a short drive from downtown Blue Ridge, St. Mark’s offers a festive Eucharist (Rite II) every Sunday morning at 10:30. Also, join them for weekday activities including Christian Formation, Outreach, and Fellowship. Storehouse Ministries Thrift Store is a completely volunteer, non-profit Thrift Store meeting the needs of those in the community through the Gospel of Jesus Christ. They generally have available for purchase clothing, household items, electronics, and toys. 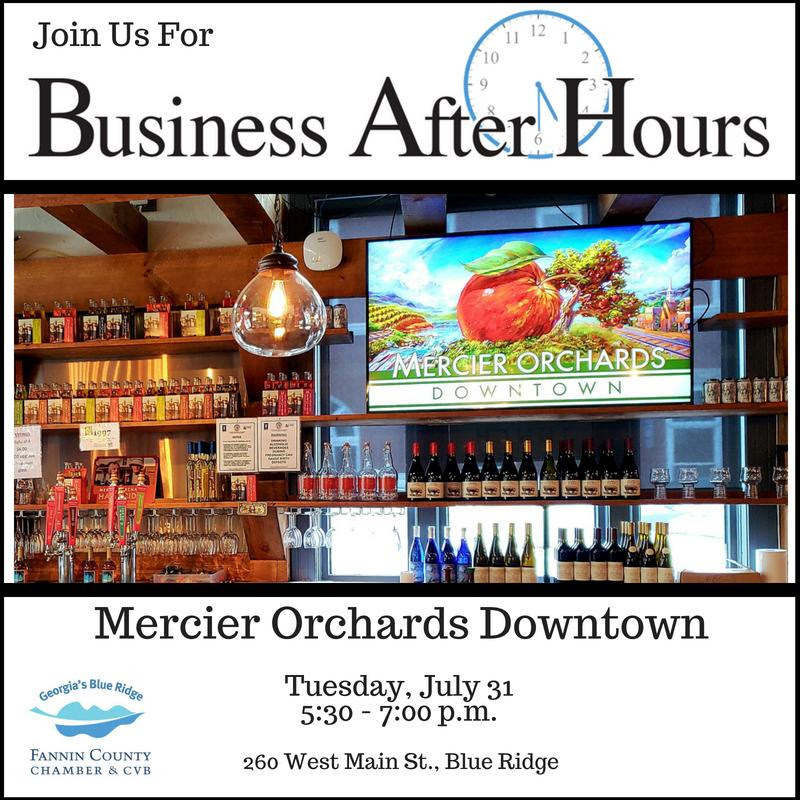 August 9 – Governmental Committee, Chamber Board Room at 3 p.m.
July 31 – Business After Hours at Mercier Orchards Downtown, 260 West Main St.
Two local primary run-offs will appear on the Republican primary ballot on July 24. 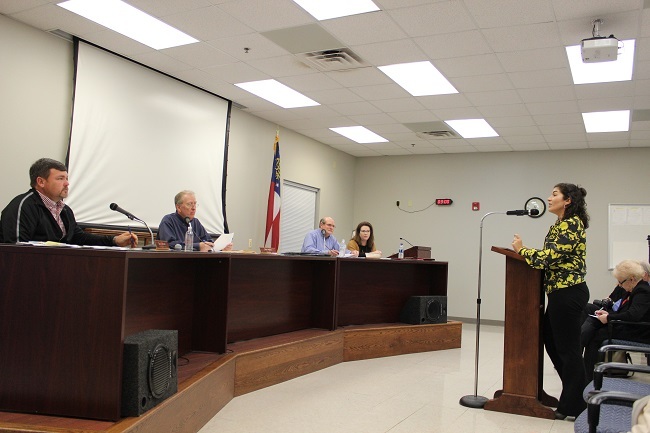 Incumbent Larry Joe Sosebee faces Glenn Patterson for Fannin County Commissioner. Steve Stanley will run against Mike Cole in the school board race. Other races in the Republican primary run-off include Casey Cagle vs Brian Kemp for Governor; Geoff Duncan vs David Shafer for Lieutenant Governor; and David Belle Isle vs Brad Raffensperger for Secretary of State. The Democratic Party run-off includes Sid Chapman vs Otha E. Thornton, Jr., for State School Superintendent. July 24 – Primary Run-off Election Don’t forget to vote! 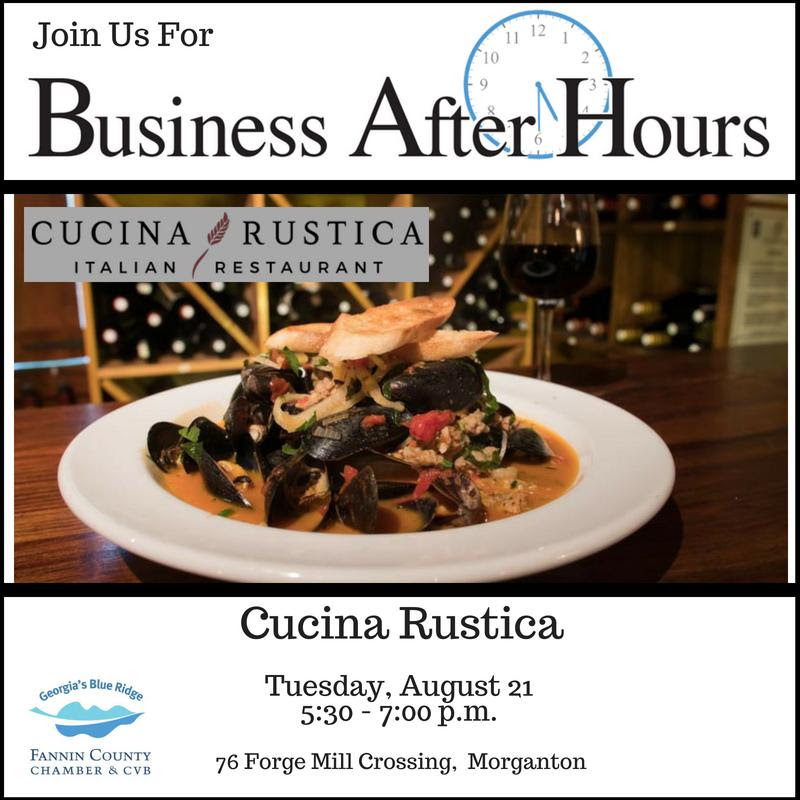 July 24 – Ribbon Cutting for Mountain Valley Community Bank, 111 Collins Ave.
July 26 – Ambassador Lunch at Alpine Deli, 204 West Main St.
Two Great Business After Hours in July! Surveys will be collected through the end of July. 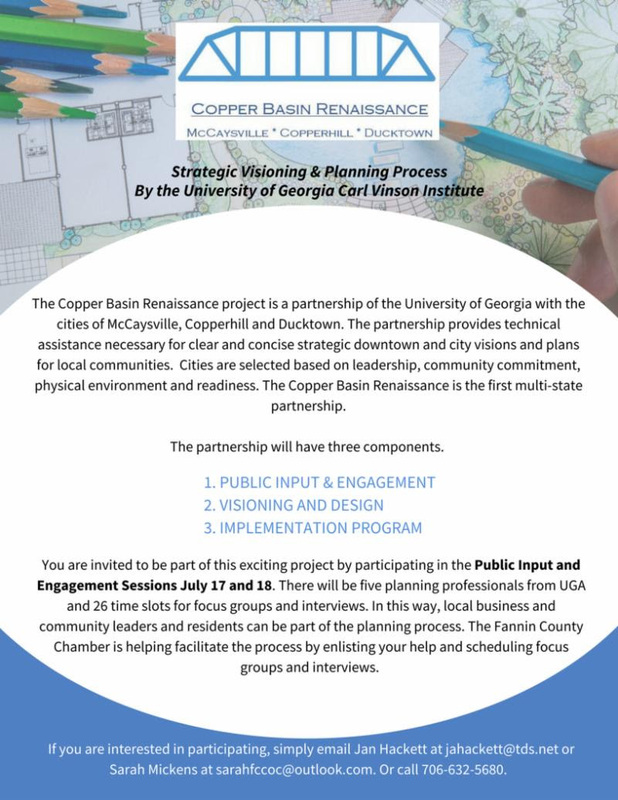 Planners from the University of Georgia’s Carl Vinson Institute of Government are here this week to conduct interviews and focus groups for the Renaissance Master Plan. There is limited space in the groups on Wednesday morning at 9 a.m. and 10:45 a.m. at the First Baptist Church of McCaysville if you would like to attend. 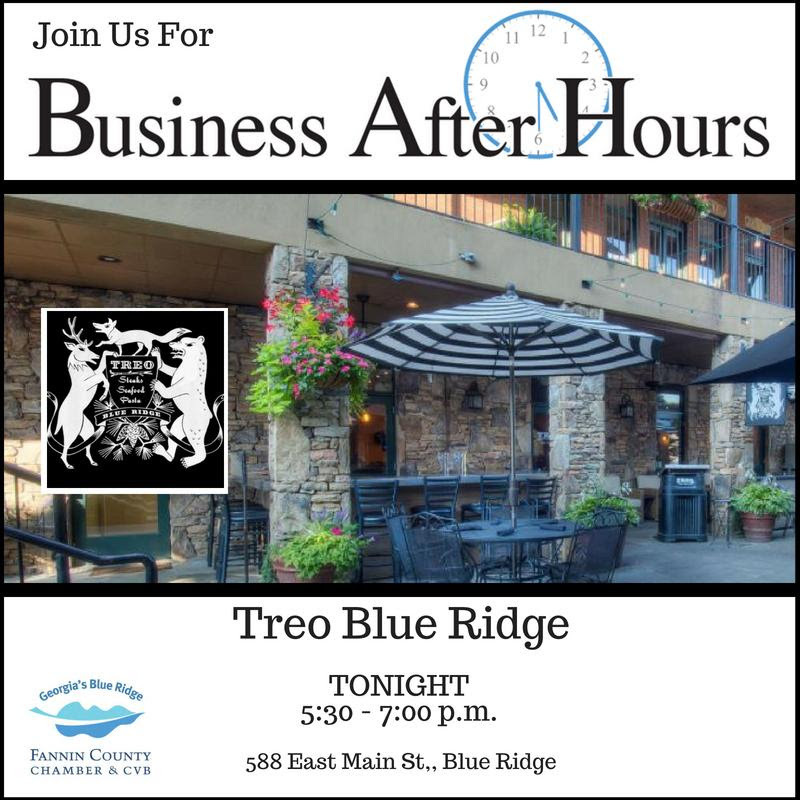 July 17 – Business After Hours at TREO, 588 East Main St.
July 17 & 18 – Focus Groups and Interviews for Copper Basin Renaissance.